Imagine your business free from the constraints of speed and scale. 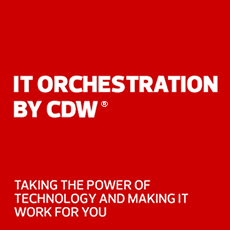 Build more than a network with Juniper and CDW. Juniper Networks simplifies the complexities of networking with products, solutions and services in the cloud era to transform the way people work and live. Juniper Networks removes the traditional constraints of networking to enable customers and partners to deliver automated, scalable and secure networks that connect the world. Improve the economics of networking with carrier-class, high-density switches for branches, campuses and data centers. Juniper Networks delivers cloud-based wired and wireless network infrastructure that's simple to deploy and easy to manage across any enterprise or campus, at every branch location. See how Aerohive's high capacity 802.11ac-based WLAN access points and Juniper's high-performance cloud managed campus and branch switching are creating greater security and efficiency for the enterprise as a whole. See how Juniper's scalable, intelligent clouds are decreasing education costs and increasing student engagement with cloud-enabled solutions customized to institutions of all sizes. Deliver scalable networking and security solutions for cloud-enabled enterprise network. Roll out new services and applications faster and across multiple locations to achieve greater operational efficiency. In a BYOD world, threats no longer come from outside the network alone — they can come from within. To protect your network fully, you have to build security into its DNA with a software-defined secure network. See how Juniper is redefining security from basic firewalls to flexible, cloud-based solutions. Juniper’s Sky Enterprise allows customers to scale to capacity and secure their networks by removing the need to purchase, install and maintain servers and management at their branch locations. Sky Enterprise is a SaaS-based solution delivered as a service for customers of Juniper Networks. Simplify network management through an intuitive web-based management portal providing rapid deployment, configuration and reporting of Juniper devices.